Since things have settled down mostly for the moment; it's time to continue with my own personal projects. The Dawn of Civilisation Concept gave me a lot of skills, ideas and feedback which will serve me well for my next project - which I am nicknaming Project Foundation of Civilisation for the moment. The first thing that needs to be done is planning out what needs to be done; I plan on having a more solid - yet flexible plan for this project. I want to try out some new project management techniques and systems to help in it's production. Following this, I will be working on raising the sizes of the tiles. This will allow me to provide better detail on tiles, as well as add certain features such as the ability to zoom in and out, and better UI elements. I look forward to bringing updates on this project! 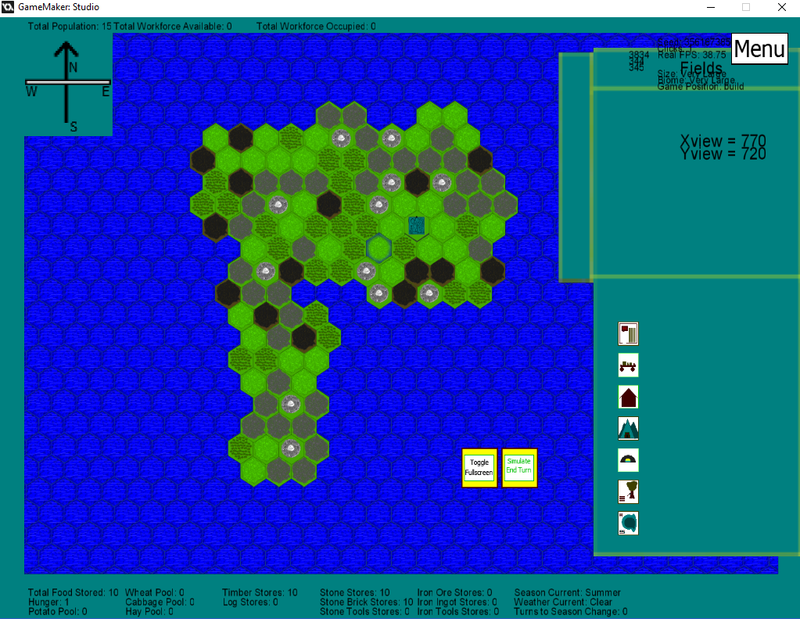 It has been a fairly busy last couple of days - but a concept version of Dawn of Civilisation is ready for testing! The project is far from anything near completion - however it has reached a very good stage for testing! This has been possibly one of the most insightful works I have embarked on. It is astounding as to the amount of work towards managing data within the game needs to be done to make sure everything works out right. Most likely - after a few tests and adjustments, I will be jumping to planning towards what comes next. Most likely working towards making a different version of the game - to continue to develop and progress the concept forward. I have a lot of plans and ideas I want to implement - so there is much to be done! However, I need to work on other projects at the moment for my Masters programme. 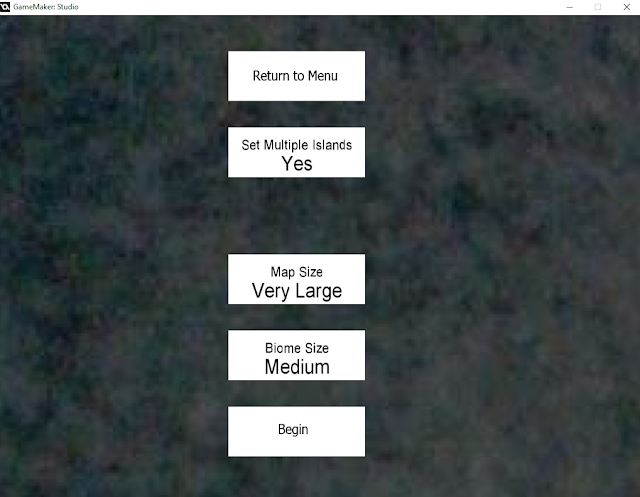 This past week has been rather productive - coming near to a deadline I've set-up with regards to testing the project and such - I have managed to implement the Game Set-Up system as well as the ability to save and load progress for the most part. 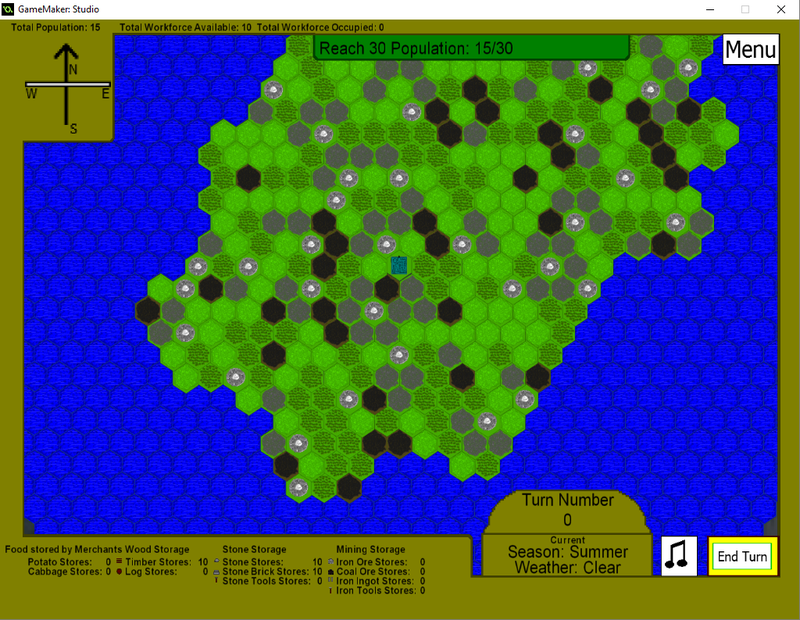 I still need to do some more touching up on the saving and loading systems however - the map, together with all the data of the game pieces are saved - and I simply need to make sure there isn't any other variables that need to be saved that exist in the Game State manager rather than game pieces. The final touches that need to be done before I can officially put a pause on the project for testing - I need to implement an objectives system that will help guide players as they get started, as well as graphical and UI touches. It is likely that I will be transitioning the project onto Game Maker Studio 2 some-time near the end of January - however I still need to plan what I want to get done and where I want this project to go before then.